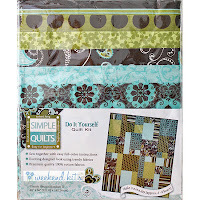 We have a new selection of easy to make quilt kits to share with you today. The Simple Quilts - DIY Quilt Kits from Fabric Editions feature modern fabrics & simple quilting patterns for beginners. 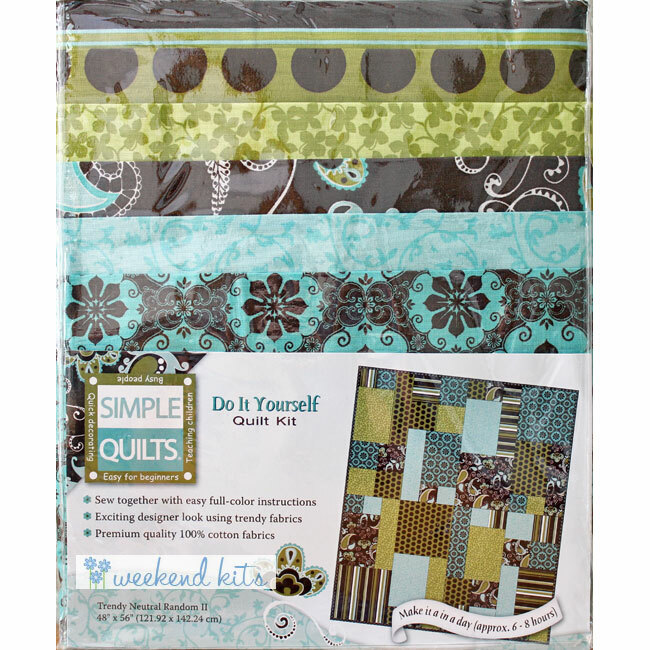 Coordinated designer fabrics and easy quilt construction make these creative quilt kits a convenient time-saving option for busy quilters. You'll find them in the Lap Quilt Kits section of the store! 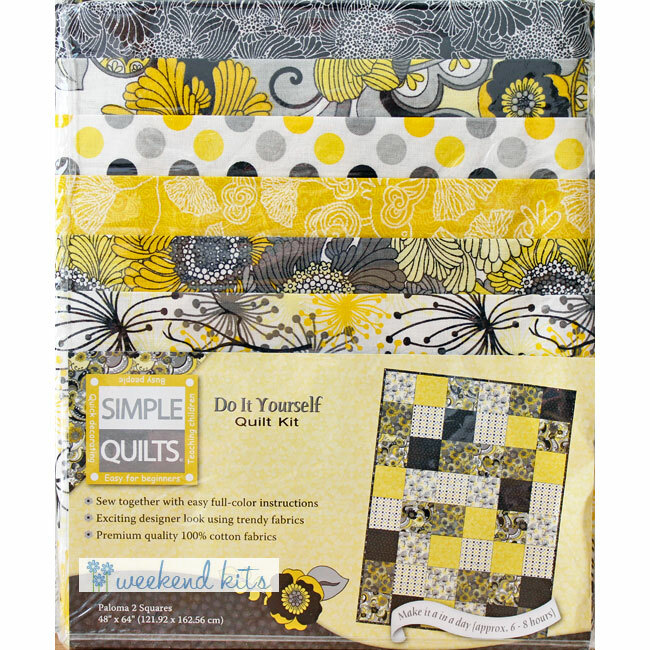 Simple Quilts do-it-yourself quilt kits include premium quality 100% cotton fabrics and step-by-step quilt making instructions. 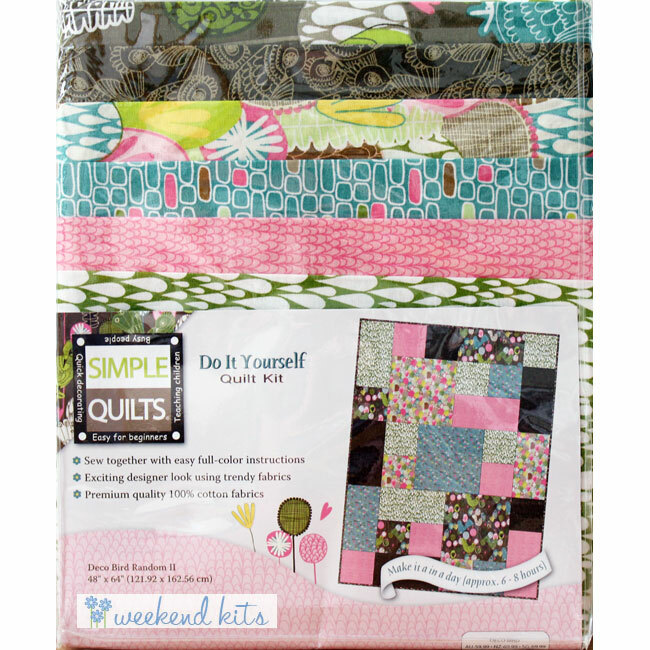 Kit includes fabric pieces for the quilt top, backing, and binding – there are 6 half-yard fabric pieces for the quilt top and a 3 yard piece for the backing & binding. This finished size of the quilt is perfect for use as a lap blanket, decorative throw, or accent quilt. Here's a list of basic sewing & quilting supplies you'll need to complete your lap quilt project. You'll also need a layer of batting that is approx. 2-3 inches larger than the quilt top in each direction. Instructions take you step-by-step through the quilt making process, including steps for cutting the fabrics, sewing the top, layering the quilt, quilting, and binding. Beginner quilters may find our Baby Quilt tutorial series helpful, where each of the steps are explained in further detail. 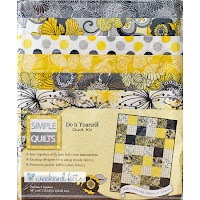 Simple Quilts quilt kits have simply pieced quilt patterns, perfect for beginners or for teaching older teens & adults how to quilt. Quilting is a relaxing & rewarding hobby. It's a great way to relieve the stress of the work week while making something beautiful for your home. Visit the Quilt Kits section to see our complete selection of quilt kits, including lap quilts, baby quilts, wall quilts & more! Weekend Kits specializes in Creative Art & Craft Kits for adults, teens, and kids. Explore our unique collection of kits for beginners and all skill levels. Stop by today and be ready to start quilting on your next Weekend at Home.